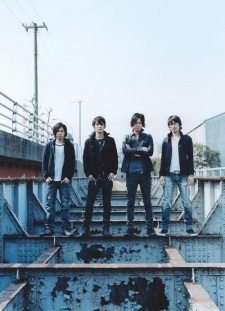 LAST ALLIANCE is a indie/post punk revival band consisting of four members: Ryusuke Anzai (vocals and guitar), Takahiko Matsumara (vocals and bass), Shingo Sano (guitar), and Hiroshi Ozawa (drums). They are based in Machida, Tokyo. LAST ALLIANCE became famous with their single, "Shissou", which appears as the ED of the anime series, Ouran High School Host Club. Their most recent album is titled "the sum", released in June, 2008 featuring the A-sides of theirs last singles : "Drag On" (Signal 004) and "Katahiza no Yogore" (Always on my Heart). They blowed my mind with Hajime no Ippo: New Challenger Op!!! Fantastic opening of ippo. Must check more of it out.